Our identified focus areas for this year's event are 1) Benefits Management, 2) Communication, 3) Education, 4) Employment, 5) Financial/Legal/Legislative, 6) Health & Nutrition, 7) Residential Options, 8) Support Services, 9) Recreation-Socialization, 10) Transportation and more! Please note that not all of the event's focus areas will be covered by experts. 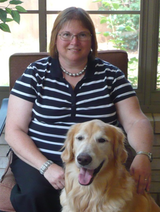 Description of Expertise: Jinjer has been living with multiple sclerosis for over 30 years, and has been working with service dogs for 10 years. She travels across the country speaking to corporations, chambers of commerce, and schools providing information on the various uses of service dogs within the community, proper etiquette in approaching service animals, and information on federal and state laws protecting the rights of individuals with service animals. Description of Expertise: Founder, manager, and lead consultant of Great Opportunities, is an award-winning expert in the field of employment services and vocational support for individuals with disabilities. Since 2007, she has worked to build an organization that provides state-funded services to qualified workers with a wide variety skills and educational levels. Ms. Cantu specializes in working with the deaf population, an area she has been involved with for seven years. Together with her team, they collaborate with employers and consumers to meet the highly specific needs of all disabilities by tailoring placement, assistive technology, and other accommodations—ensuring continued and successful employment. Description of Expertise: Education Specialist with the Brighton Center. Ms. O’Donnell is the proud mother of 4 children, one of whom has a disability (ADHD and ODD). She has a passion for working with parents and professionals concerning how we educate our children who have a disability or a chronic illness. She has had the opportunity of presenting at a number of conferences and events in the San Antonio area as well as other areas in the state. Ms. O’Donnell enjoys partnering up with organizations and businesses to promote educating individuals on Special Education Law. 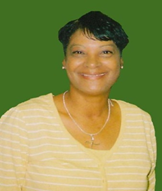 She serves as an advisor to the military bases in our city as well. Description of Expertise: Ability pediatric therapy is committed to providing high quality Speech, Occupational and Physical Therapy Services to the pediatric population in the communities in which they reside. Description of Expertise: Our mission is to create opportunities for individuals and families to reach self-sufficiency through support services, education and leadership. To the Center, self-sufficiency means being able to take responsibility for yourself and your family using available resources to maintain the best quality of life possible. Description of Expertise: Do you need help managing or reducing your household debt? Want advice on how to build or restore your personal credit? Have a budget but need some specific tips on how to better save for your retirement? The San Antonio Financial Empowerment Centers offer free, one-on-one professional financial counseling to all residents. Financial Empowerment Center counselors can help you take control of your debt, negotiate with debt collectors, build your savings, create a budget, and much more. Description of Expertise: Disability Services of Southwest and LifeSpan Home Health provide nursing, therapies, and attendant care in the homes of people with disabilities and the elderly across Texas. Description of Expertise: President/Case Manager for older adult solutions. Description of Expertise: Attorney with solo practice, helping people take control of decisions about their lives and possessions. Description of Expertise: CEREBELLE is a brand new exciting organization that takes a real holistic approach to health, the lady who runs it is married to a neurologist. They do everything from nutrition to physical training classes and more. Description of Expertise: Offers professional health and fitness expertise and specialized personal training. Description of Expertise: Serving people who are blind or visually impaired for more than 78 years, the San Antonio Lighthouse for the Blind provides rehabilitation services as well as employment for the blind in its light manufacturing assembly plant. Description of Expertise: Rehab Specialist providing services under the AbilityOne (Formerly JWOD) and Texas Industries for the Blind and Handicapped (TIBH) programs. Current services that we provide are: Hospital Housekeeping, Facilities Maintenance & Engineering, Grounds Maintenance, Custodial Services, Food Services, Vehicle Operations & Maintenance, Commissary, Administrative Services, and Warehouse Operations. Description of Expertise: Financial Adviser here to help you achieve your objectives. By asking the right questions and really listening to what you say (and even what you don’t say), we learn what is important to you, what your dreams are and how you want to live your life. Only with that understanding can we help you craft a plan and design a financial roadmap that will assist you in getting where you want to go in life. Description of Expertise: The President of Seltzer Financial Services, Inc. and is here to help you achieve your objectives. By asking the right questions and really listening to what you say (and even what you don’t say), we learn what is important to you, what your dreams are and how you want to live your life. Only with that understanding can we help you craft a plan and design a financial roadmap that will assist you in getting where you want to go in life. 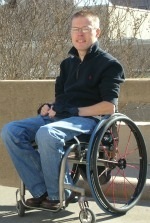 Description of Expertise: As Director of Advocacy for the Coalition of Texans with Disabilities, Chase is called on for research, policy analysis and recommendations to the Texas Legislature and state agencies on issues surrounding disabilities. He has successfully advocated for positive change in government policy and practice in employment, transportation, voting, education, health care and architectural barriers to promote the full inclusion of people with disabilities in community life.